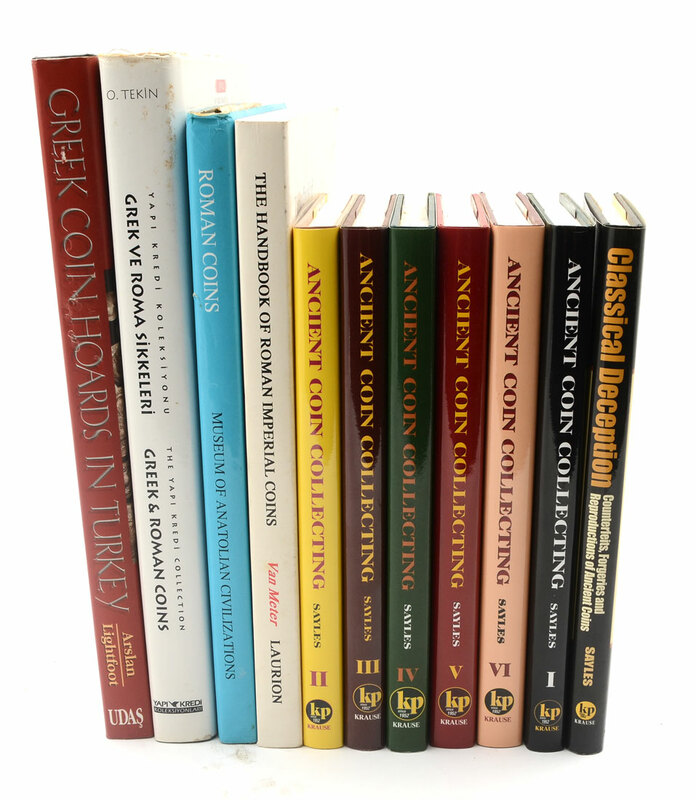 COLLECTION OF ANCIENT ROMAN & GREEK COINS AND REFERENCE BOOKS: An assembled collection of ungraded ancient coins in individual plastic casing. 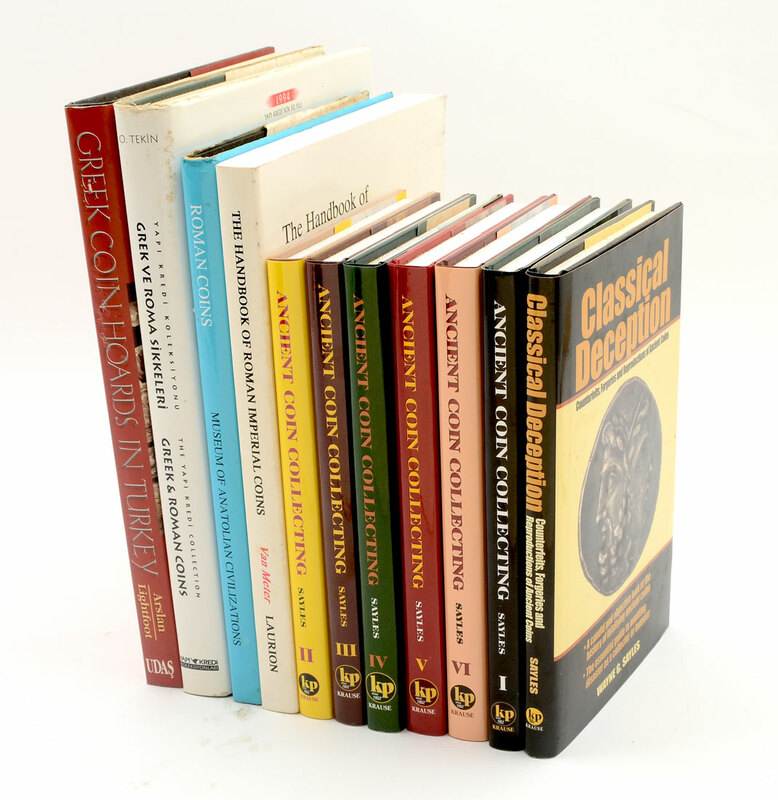 1 riker mount with 46 coins and 11 ancient coin reference books. CONDITION: Ungraded, sold as is.